Microsoft Excel training courses. Microsoft Office. Excel 2016, 2013, 2010. Onsite training. Sydney, CBD, Ryde, Chatswood, Parramatta, North Sydney. Are you looking for Microsoft Excel training Sydney courses but course outlines don’t quite seem to fit your requirements? Some learners need to know how to print large worksheets whilst this will not be of interest to others. Some learners need to know how to use complex functions, creating VLOOKUPS, or use Pivot Tables; others only have smaller worksheets to work on, but may need to know how to create basic formulas. Some learners need to be able to create charts; for others this is not relevant. Some learners may want to be able to sort and filter large data sets. Our Microsoft Excel training courses Sydney, are available in all suburbs including CBD, North Sydney, Chatswood, Macquarie Business Park, Ryde, Parramatta, Norwest Business Park, Hornsby, etc, as we generally train on client site. We can still provide Microsoft Excel training courses outside this area but would then need to charge for the travel expenses of the Excel trainer. 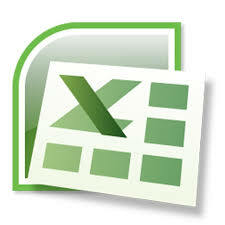 “I just wanted to say a HUGE thank you for the Microsoft Excel training yesterday. We both learnt so much and I cannot believe how many hours I will now save from implementing the new skills I learnt from our session with you. It was so much more beneficial to have a personalised session and have your assistance with the work I do regularly in my role. I have already recommended your company to other people in my office and will continue to do so if we have further requirements for Microsoft Training. You made the session very interesting and made us laugh which made the day go very fast.” – Madelene Sewell, Berendsen Fluid PowerPty Ltd.
JMD Training provide Microsoft Excel 2010 training courses, Microsoft Excel 2013 training courses and Microsoft Excel 2016 training courses all tailor-made to suit the needs of the individual or organisation though you will find our costs are no higher than for a standard course. In general, we divide these courses into three levels – Introductory Excel training, Intermediate Excel training and Advanced Excel training, though our course outlines are very flexible. Although we include links to outlines for our Microsoft Excel training courses below, all training can be adapted to the needs of the individual or organisation and we would encourage you to think about what you actually need from the training and contact us to discuss.